FULTON, NY – The Fulton city common council approved the final 2016 budget after a public hearing held Tuesday (December 1). Starting the budget process with a 10% tax increase in the first draft; the mayor, councilmen and city clerk/chamberlain worked through the weeks to go over the budget meticulously and make any cuts to lower the tax increase as much as possible. In its final and approved stage, the $15.9 million budget brings forth an overall increase of $261,091 from the 2015 budget and a 4.3% tax increase. The tax rate per $1,000 of assessed value will increase from $19.66 in 2015 to $20.51 in 2016, a change of $0.85. In terms of value, a house worth $100,000 will see an $85 property tax increase. 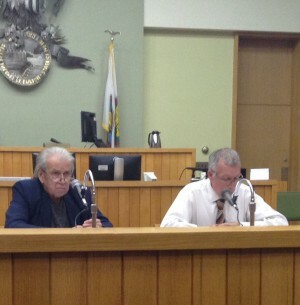 Mayor of Fulton, Ronald Woodward Sr. and City Clerk/Chamberlain, Daniel O’Brien hear from community members at the 2016 budget public hearing held December 1. Due to this tax increase, the council also held a public hearing to authorize the property tax levy in excess of the limit established in general municipal law. According to Mayor Ron Woodward, general municipal law states that if the council passes any budget with a tax increase in excess of the 0.76% allowable, they must also hold a public hearing and authorize the tax levy to increase in excess of this limit as well. Both the budget and the authorization for the property tax levy in excess to the limit passed the council with unanimous vote. The largest areas of expense to the city are from the fire department, police department and medical insurance. Roughly 50% of the 2016 expenses come from public safety, including a $70,000 increase to the overtime budget for the fire department in an overall $118,029 increase. Mayor Woodward has addressed this concern, but explained there is not much that can be done without an agreement on both parties. “We are well aware of the problem. We have to do something with the contract and they have to agree,” said Woodward. Woodward feels the city would see the most benefit in lowering the minimum staffing, which is currently at 33 down from 36, and changing the schedule. The police and fire department retirement system takes up 9.24% of the 2016 appropriations in which Mayor Woodward explains that the retirement value has not really come down after a large increase after the 2008 fiscal crisis, although he notes it has gone down slightly due to the number of people they lost and have not replaced. Oswego County Legislator Frank Castiglia Jr. (of Fulton) suggested that the police department put two officers in one vehicle to cut on fuel cost by lowering the number of patrol cars out at a time and improve safety of the officers by traveling with another officer. Oswego County Legislator Frank Castiglia Jr. speaks to the common council with suggestions and ideas pertaining to the 2016 Fulton city budget. First Ward councilman, Tom Kenyon disagreed saying, “If we were in good standing, I’d hire more cops,” explaining that he feels the city would benefit from more patrol vehicles. When community member Bob Weston questioned what can be done to offset the medical insurance increasing almost half a million dollar in two years, Mayor Woodward expressed a lack of options. “Well, I don’t know. We are self-insured and I know that when we’ve tried to buy policies instead it would end up costing even $1 million more than we are paying now,” Woodward explained. Weston went on to comment that after spending 16 years as a Fulton city councilman, he is well aware of the budget process and all the work it entails. He said that he is aware there is no flexibility in the budget with pensions and medical insurance, nor is there flexibility in departments as he recognizes that over the years the city has made tremendous changes in departments. “There are a number of departments under-staffed, but we are very fortunate to have such good city employees,” said Weston, continuing to showcase the city’s ability to consolidate in areas such as the administrative assistant to the mayor and combining the city clerk and chamberlain positions as examples. Bob Weston addresses the common council at the 2016 budget hearing to commend the work put into the budget and recognize the Fulton city employees and their hard work all year round. The council agreed, noting that the DPW went from 45 employees to 22, the recreation department now has only two full-time employees, and the water department and the sewer department made employment cuts as well. They further explained how a number of city employees are doing more work than is expected of their position or consolidating duties and positions to make it work with minimal employees, and the council unanimously showed appreciation for that. Another community member brought forth the suggestion of implementing solar lighting to save money and offered information regarding incentives from the state as well as federal to help pay for installation costs. The council had previously considered switching the street lighting to LED lights, an implementation that Mayor Woodward estimates would cut $250,000 out of the current $340,000 street lighting cost per year. They quickly hit a roadblock from the realization that the city does not own the street lights and does not have the authority to make that change. However, Mayor Woodward announced that he just recently received a letter from National Grid that they have approached the public service commission in attempt to switch to LED lighting and that will be an ongoing process the city will follow. As for the solar lighting, the mayor said that is something the city would gladly look into for city buildings, pump stations and places along those lines. The water budget for 2016 appropriated $1,442,530 a roughly $39,000 increase from the 2015 budget and brought forth a $33,540 decrease in revenue to $1,256,740 leaving the appropriated unreserved unrestricted fund balance of $185,790 which is $72,633 more than the 2015 year. The sewer budget for 2016 appropriated $1,865,447 a roughly $33,000 decrease from the 2015 budget and brought forth a $53,400 decrease in revenue to $1,753,790 leaving the appropriated unreserved unrestricted fund balance of $111,657 which is $20,257 more than the 2015 year. The refuse and garbage budget for 2016 appropriated $989,810 a roughly $157,000 increase from the 2015 budget and brought forth a $139,232 increase in revenue to $971,411 leaving the appropriated unreserved unrestricted fund balance of $18,399 which is $18,399 more than the 2015 year. 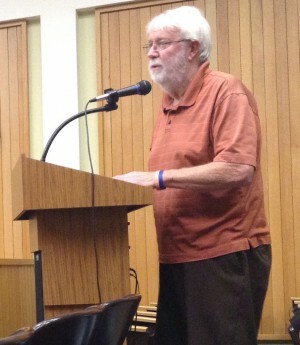 The council unanimously passed the budget. Councilors and Mayor Woodward thanked the community for its involvement and expressed appreciation for the comments and ideas. After attending last nights meeting and reading this article I can understand again why the city of Fulton is in such trouble. 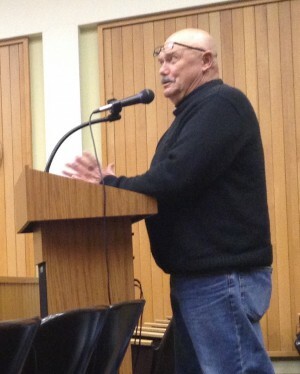 Legislator Castiglia was speaking to the safety of the police officers and saving the city money all at the same time. He even responded to Mr. Kenyon by saying ” I never said I wanted to lower the number of Police or Firemen” But as is most of the time we have councilors that can’t comprehend the spoken word. I feel sorry for the city of Fulton. This is classic Fultonian leadership. Tax their way out of it. How is that strategy working Mr. Mayor? Hasnt worked for the past 30 years. Castiglia offered useful suggestions. Its obvious none of the council has LE or fiscal experience. Apparently throwing more cop cars on the road would empirically improve public safety. Again, that strategy has been proven in scores of studies to be false. Lastly, the Fire Dept budget is out of control. I hate to break it to everyone but a vast majority of that 24 hours’ worth of OT is spent NOT responding to calls for service.